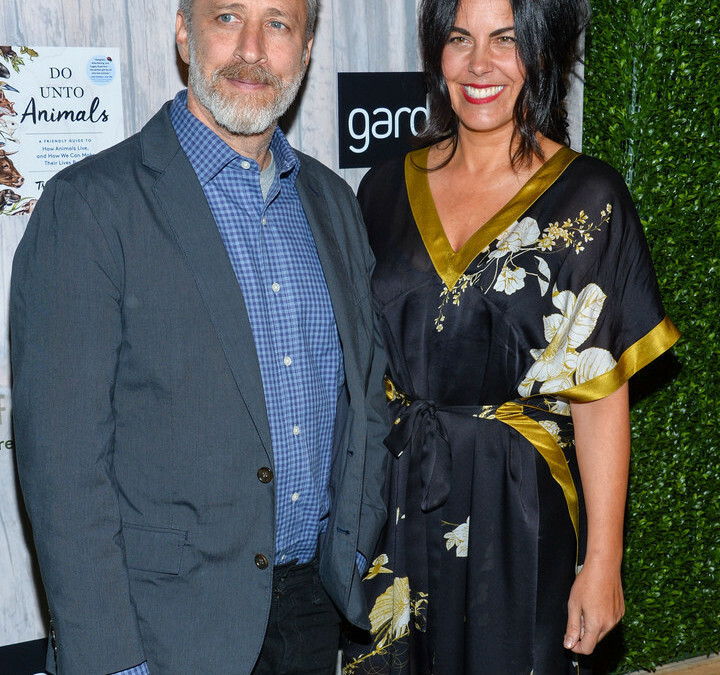 Hats off to Jon and Tracey Stewart for turning their New Jersey farm into an animal sanctuary. Having been a vegetarian for over 22 years, Shannon as well for 7, we really admire the Stewarts for stepping up an making a difference. Here is the original article from BuzzFeed. The comedian — who stepped down as host of TheDaily Show in August after a successful 16-year run — and his family were honored Saturday at an event hosted by Farm Sanctuary, a nonprofit that helps rescue animals from factory farms. “I’m a little uncomfortable. I’ve spent the last 20 years immersed in the world of Washington politics and the media landscape, so I don’t know how to deal necessarily with people who have empathy,” Jon told the crowd at The Plaza Hotel in New York, according to Agence-France Presse. Tracey Stewart announced that the family’s 12-acre farm in Middletown, New Jersey, would serve as Farm Sanctuary’s latest animal shelter and would be accompanied by an educational center. Farm Sanctuary runs two animal rescue facilities in California and one in New York; Stewart’s rescue center will be the nonprofit’s fourth location and will eventually be open for tours. 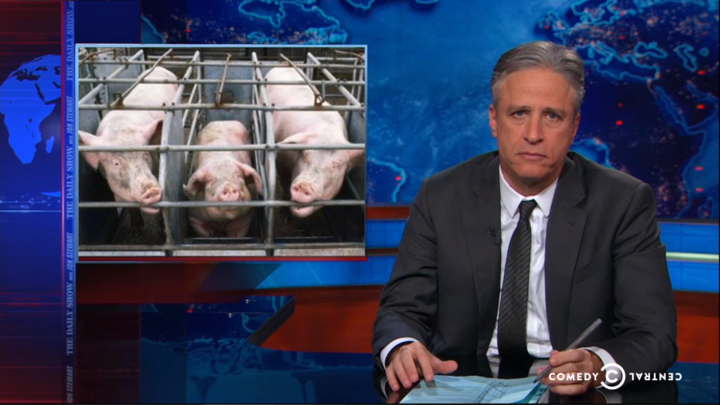 While hosting the Daily Show, Jon repeatedly brought up animal welfare issues, notablycommenting on New Jersey Gov. Chris Christie’s veto of a state bill that would ban pig gestation crates. Tracey’s also a vegan and told the New York Times that her husband recently became a vegetarian.